There are several reasons why owners choose prefab steel buildings for fast food restaurant construction. 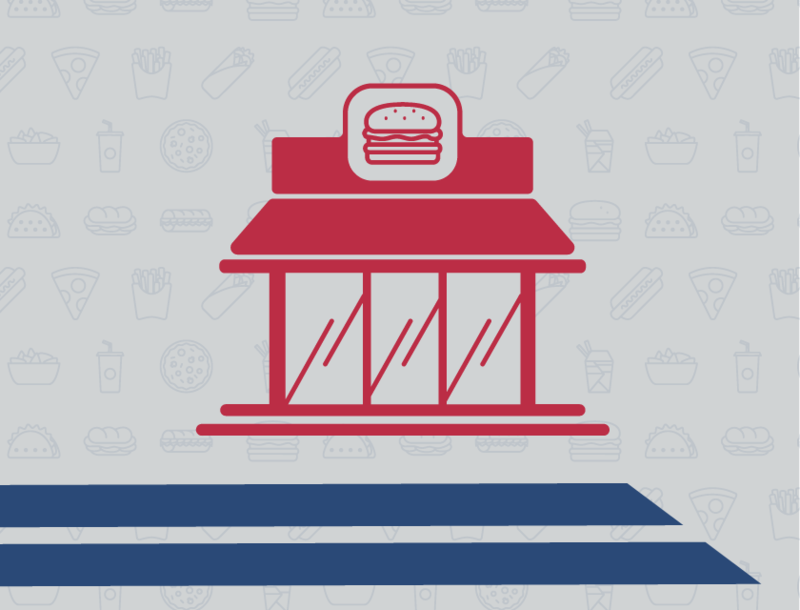 In fact, pre-engineered metal buildings dominate all forms of low-rise commercial and industrial construction in the U.S.
First, let’s take a quick look at the fast food industry. Busy Americans always seem to be on the go. Consequently, grabbing a quick meal at a drive-thru is often the go-to meal. In 1970, Americans forked over $6 billion each year for fast food. 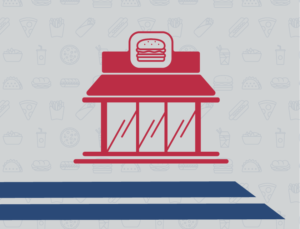 Today, quick service restaurants in the U.S. rake in an astounding $200 billion annually. However, there is no end in sight. Experts expect that number to soar to $223 billion by 2020. According to the Center for Disease Control (CDC), one out of three adults visits a fast food restaurant every day. McDonald’s alone feeds 68 million people every day across the globe. Fast food meals became so popular that car manufacturers began adding cup-holders to their vehicles. As fast food drink sizes increased, so did the size of the cup receptacles. The incredible popularity of prefabricated metal buildings speaks volumes about their advantages. However, steel buildings promise benefits that specially appeal to fast food eateries. Steel is noncombustible. Anywhere there is cooking, fire presents a danger. Almost 6,000 restaurants catch fire each year in the U.S. Steel’s fire resistance makes it the perfect choice for eateries. Steel is economical. Pre-engineered metal buildings offer a surprisingly low cost-per-square foot. However, that is only the beginning of the savings. Faster erection reduces construction costs. Better insulation cuts utility bills in half. Low maintenance saves on operating costs. Commercial-grade steel earns big discounts on insurance. Metal buildings are strong. Pre-engineered steel structures resist damage from wind, rain, snow, lightning, earthquakes, mold, and termites. Steel is versatile. Only by your imagination limits the exterior style of a steel building. From a rustic drive-thru barbecue grill, to a brightly colored burger joint, to an upscale dine-in quick service restaurant— anything is possible with steel. Expansion simplifies with steel. Chain restaurants find duplicating their buildings in other locations is a snap with steel. And expanding an existing steel restaurant offers little challenge to a pre-engineered system. Metal buildings have it all. Clear span steel delivers open floor plans for optimal use of space. Steel structures hold their value decade after decade, for higher resale prices. Recycled steel makes metal fast food eateries eco-friendly. For more information about the wonders of steel buildings for fast food restaurant construction or other commercial projects, speak to a metal building specialist. Call 940.383.9566 today for more information or a quick quote. Share the post "Steel Buildings for Fast Food Restaurants"